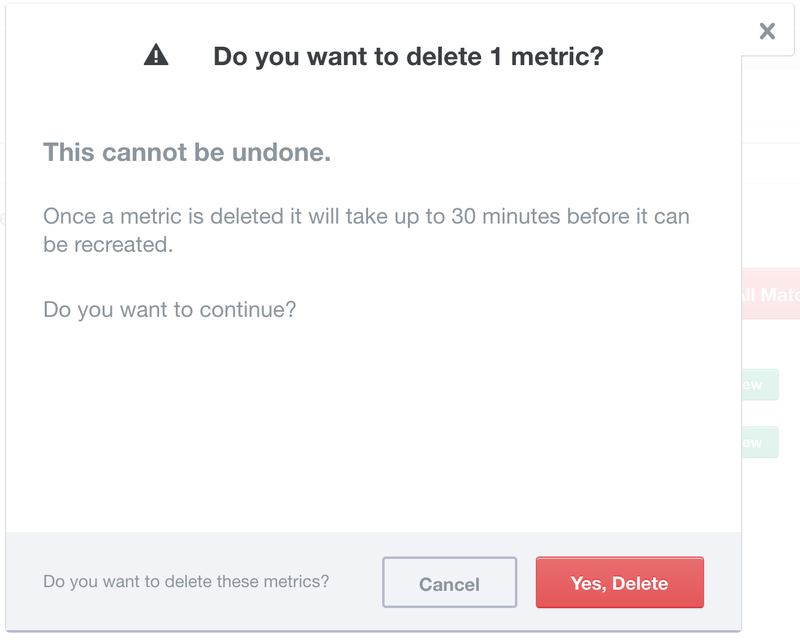 Deleting metrics is a matter of searching for the metrics you want to remove, selecting them, and hitting the “delete selected” button. The metric search follows the same format as that of the Graphite composer. By entering a search term into the box you can search for your metrics. The ‘*’ operator is used to add a wider search to your metric name. 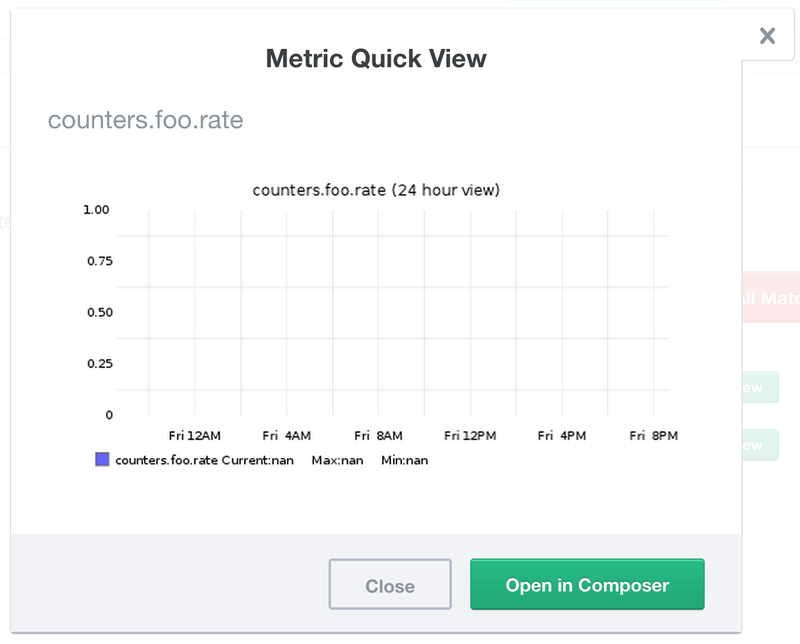 In this example “counters.foo*” searches for any metrics starting with “counters.foo”. Selecting the “Quick view” button next to a metric name will bring you to a quick graph of that metric’s usage in the last 24 hours. Clicking the “Open in Composer” button will take you directly to the Graphite graph composer where you can dig into the metric in more detail. If you no longer need a metric, you can select and delete it or delete all metrics matching the search pattern you have entered. As we run a large distributed system and deletes have a lower priority than new data coming in, deletes can take up to 30 minutes to be processed fully. In the interim, you should not send the same metric names.